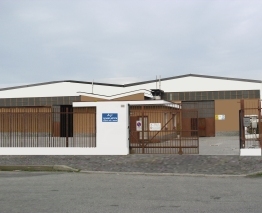 AF TECNOPLASTICA s.a.s., established in 1960 by Franco Agostini, flaunts a long experience in the production of technical articles and mold construction. With the inclusion of children, the second generation arrives with a continuous Know-How aimed at new technologies. January 2017 A.F. change its name to A.F.Tecnoplastica s.a.s. by Marco Agostini & C.
Taking over the company shares, Marco Agostini continues the family business. It inserts new machinery in Production, maintains the Mold Construction department and creates a collaboration network with external Tooling. Specialized in the realization of tooling and production of tecnical articles, it finds its market in the: CAR - MOTORSHIP - ELECTRICAL - SUBAQUATIC - AIRCONDITIONING - HYDROSANITARY fields. A.F. TECNOPLASTICA S.A.S. DI ANDREA, MARCO AGOSTINI & C.